Nissan was kind enough to provide us with some time to answer questions about their new Nissan-Chrysler Platform Swap. For those who haven't been following the news, Dodge is going to build the next generation full-size truck for Nissan based on the upcoming Dodge Ram platform. In return, Nissan is going to build a small car for Dodge based on one of their, currently unnamed, platforms. Both companies claim that the cars will have unique designs and interiors so they're not to be mistaken for mere badge-reengineered vehicles. Both vehicles will be sold in North America but, because neither will go on sale this decade, details remain limited. Information on possible hybrids, names and powertrains below the jump. Chrysler To Produce Full Size Trucks For Nissan, What The Truck? We know that that this upcoming truck will be a replacement for the Nissan Titan that is based on the 2009 Dodge Ram. No decisions have been made regarding the powertrain options, though Nissan VP of Corporate Communications Frederique Le Greves made it clear that Dodge-sourced engines weren't off the table. The hybrid drive system jointly developed by GM/Chrysler/Daimler/BMW is also still on the table, though no decisions have been made on the use of that engine. The reasons for the change? The company looked at a market for full-sized trucks that dropped from 2.5 million units in 2004 to 2.1 million units this last year. Since it is a rather large market they want to compete but by partnering with Chrysler they save themselves development costs. There's also no word on whether they're going to keep the truck's current name of Titan, or try something else. However, Le Greves did say that the truck is being called the "next generation Titan" internally. There are maddeningly few details regarding Chrysler's new small car other than it'll be built in the Nissan Oppama Plant, which builds most of Nissan's small cars (March, Cube, Cube Cubic, Tilda, Tilda Latio, Note and Bluebird Slyphy). Which platform will they use? On one hand, Nissan is bringing the Cube to the United States and it could make sense to base it on a platform that's going to be utilized here. On the other hand, Dodge is already planning on using a version of the Versa/Tilda platform in South America for sale there next year. 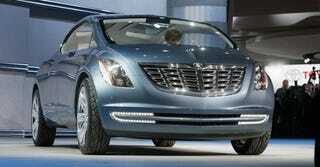 In a conference call with Chrysler's Tom LaSorda, he indicated that the car was already designed, which makes us wonder if Chrysler knows what platform it is going to use. At this point there are too many uncertainties to say for sure.